SEA Games Fever with UNIQLO Singapore- Win Fleece Blanket! Join in the SEA GAMES fever with UNIQLO! 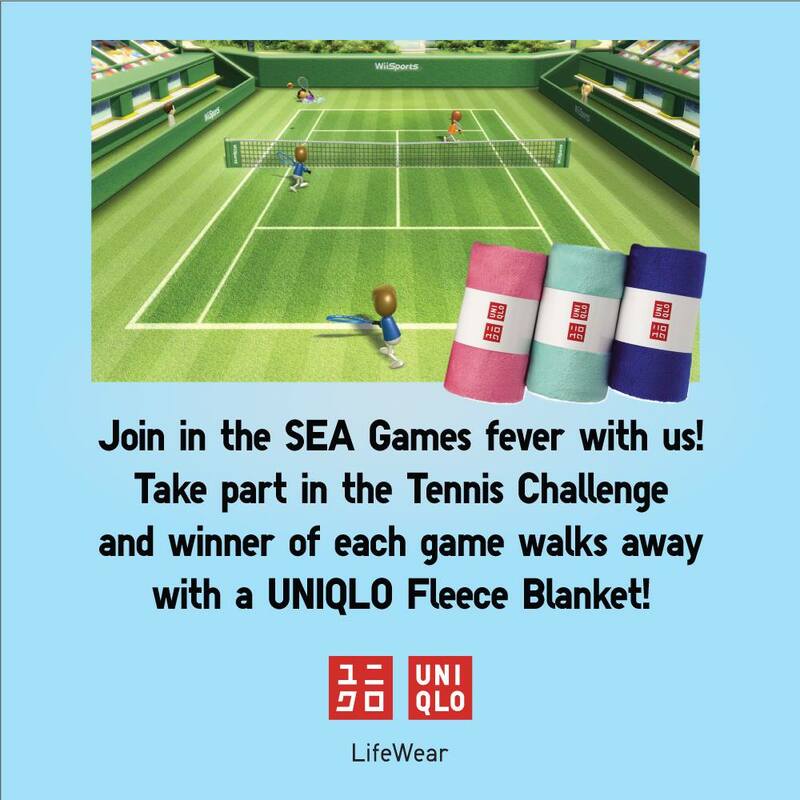 From 5 to 7 and 12 to 14 June exclusively at UNIQLO Kallang Wave, take part in the Tennis Challenge to win a UNIQLO Fleece Blanket! Registration will be on a first come first served basis.